Updating, Maintaining and Creating SAFETY DATA SHEETS. Do You Export Products Into Mexico? If Your Products Were To Be Held At the Port or Border You Could Incur Fees and Fines While Stalling Your Shipment. Don’t risk noncompliance because your product is missing even the slightest information. Request a Demo to find out how SILLAC SDS “Mexico Package” is a fully Managed SDS Platform Solution to prepare, update, maintain all of your enterprise’s Safety Data Sheets. By submitting this form, I give consent for SILLAC to contact me via phone, text, and email. Msg & data rates may apply. NOM 018-STPS-2015 will have been enforced as of 8 October 2018. Exporters will need to have Product SAFETY DATA SHEETS updated to meet standards for exporting of Chemical Products under GHS (Global Harmonized System). Mexico published its implementation of the UN GHS on October 9 of 2015, as NOM-018-STPS-2015, (NORMA Oficial Mexicana NOM-018-STPS-2015, Sistema armonizado para la identificación y comunicación de peligros y riesgos por sustancias químicas peligrosas en los centros de trabajo). NOM offers perspective on what elements will best serve Mexican customers, who must comply with the standard in the workplace. Are You Prepared? If you export to Mexico, now is the time to prepare and update Safety Data Sheets that comply with the October 2018 GHS Regulation. 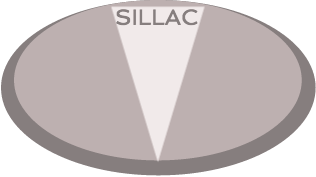 SILLAC SDS is a Managed Solution that frees you from the time it takes to Create, Update and Maintain Your Products Classifications, Labelling and Packaging. The NOM-018-STPS-2015 takes effect on 8 October 2018. All your product SDS will need to be updated to comply with GHS Standard.